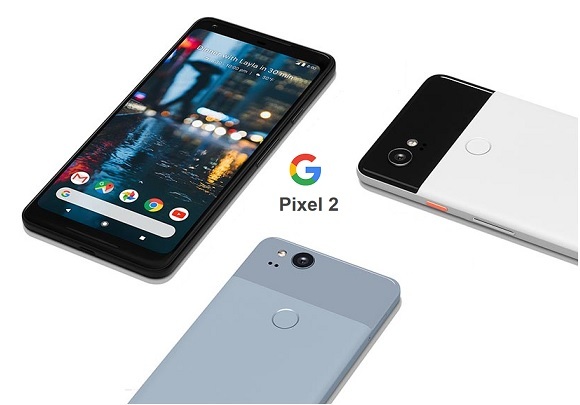 Soon after the launch, Google has made its 5-inch Pixel 2 and 6-inch Pixel 2 XL smartphones available for pre-orders. Priced at $649 and $849, respectively, the Google’s Pixel 2 and Pixel 2XL are open for pre-orders via Google Store, Verizon, and Best Buy, etc. Both smartphones are live for pre-booking via the Google Store and as mentioned earlier priced at $649 and $849, respectively. The Pixel 2 is also available at $27.04/month for a period of 24 months and Pixel 2 XL at $35.38/month for 24 months. If you want some price to be cut off, you’ve to trade in your old Pixel smartphone and after evaluating the value Google will refund you up to $410 as per your old Pixel value. Though you’ve to pay the full price for your new phone at checkout. Both smartphones are unlocked and ready to work with almost all major carriers. Google is also offering Google Home Mini for free (priced $49) with each handset. Also Read: Should You Upgrade From The Pixel to Pixel 2? Besides Google Store, you can also pre-order the new Pixel smartphones from Verizon, Best Buy, Project Fi, and Target. Currently, Verizon is selling only the 64GB variant of Pixel 2 at a retail price of $649.99, and on EMI priced at $27.08 /mo for 24 months. The 64GB model of Pixel 2 XL price at $849.99, and on EMI $35.41 /mo for 24 months. The 128GB model of Pixel 2 XL price at $949.99, and on EMI $39.58 /mo for 24 months. BestBuy is selling the Pixel 2 at a retail price of $649.99, and on EMI at $22.91/mo for 24 months and the Pixel 2 XL at $34.36 /mo. for 24 months and retail price at $849.99.